A few years ago I was surprised to see how much an usb interface can improve the sound quality of your DAC. Audiobyte Hydra-X was the first product to show me that. 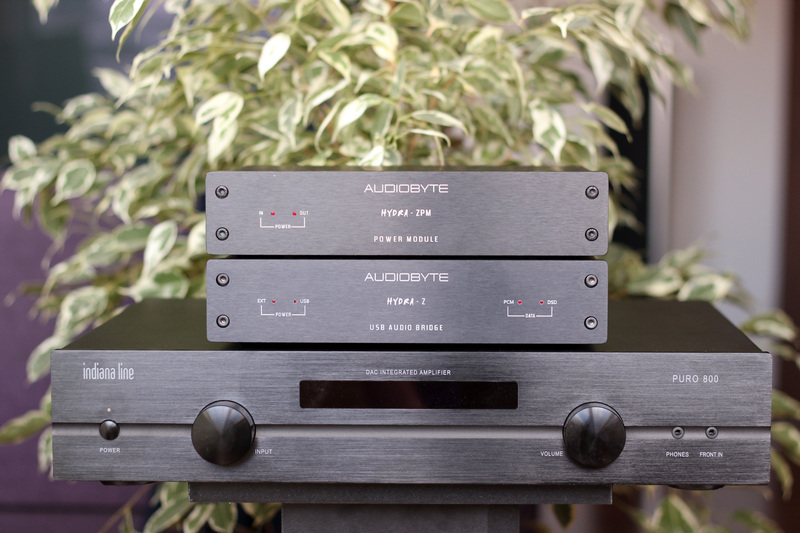 Besides the quality, Hydra was very useful in terms of versatility as it had a lot of outputs and it was very helpful in creating a bridge with other DACs that did not have an USB input. 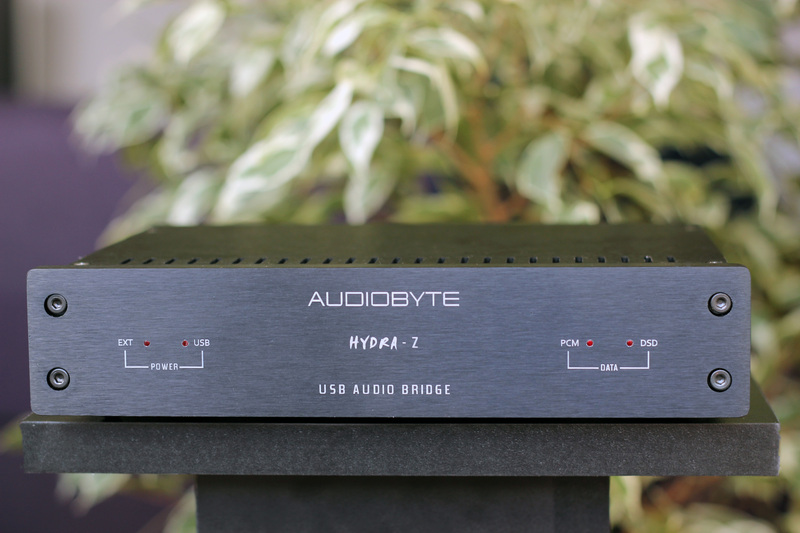 Recently, Audiobyte raised the bar and released a better version called Hydra-Z. It also has a new clocking scheme that allows shutting down one of the two oscillators when not in use. This reduces the mutual interference between the clocks, leading to better phase noise performance. Hydra-Z also improved in terms of build quality and looks, as it has a full aluminium chassis with a 10mm thick front panel. The looks are simple, but I find it to be pleasant to the eye and quite better looking than the older Hydra-X. As with its older brother, at the heart of Hydra-Z stands a Xilinx Spartan6 field-programmable gate array that offers bit-transparent processing and signal conditioning to all outputs and also the ability of the Hydra to output raw dsd audio streams. All USB audio transactions are made through a powerful ARM3 processor. Therefore Hydra Z supports any sample rate available (384k PCM, DSD128) while being future-proof for any extension. A 5KV isolation barrier is used to prevent any leakage of the noise from PC to your sensitive audio system. The USB isolation for audio devices is nothing but tricky. If you choose to use USB isolators, then sample rate will become limited, which is not an option. If you choose to isolate the output, you are adding significant amounts of jitter to the signal. 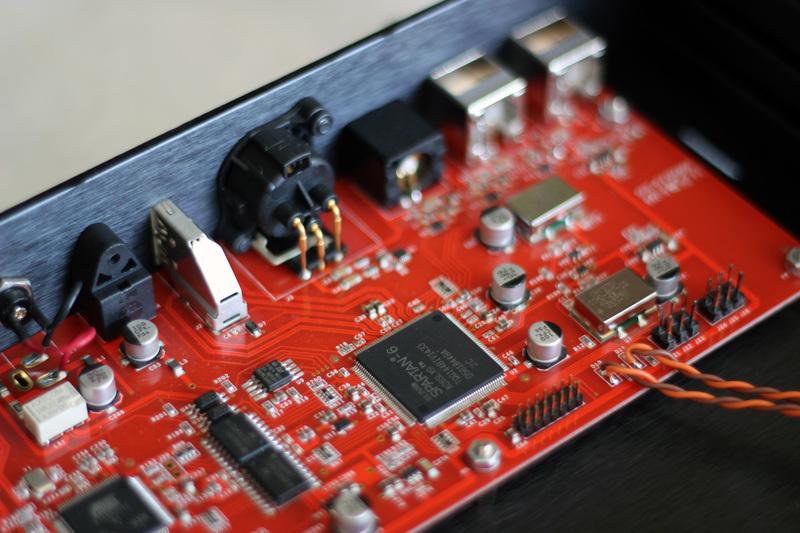 By using a clever circuit topology, the Hydra design avoids these two bottlenecks. The isolation is placed between the ARM processor and the FPGA audio core, therefore not limiting the bandwidth. Being before the clocks, its jitter contribution becomes irrelevant. The Hydra Z can be additionally used as a wordclock or masterclock generator through its dedicated BNC output. In total there are available 6 (six) outputs, including the low-jitter wordclock/masterclock output for direct synchronizing external d/a converters. The output wordclock is the sample clock (44.1KHz – 384 KHz) or 512xfs (22.5792 MHz or 24.576 MHz). The other 5(five) are : SPDIF Coaxial, SPDIF BNC, AES/EBU, I2S, TOSLINK. Unlike other products which only specify “low jitter clocks”, here is exactly what you will find inside : 2xCCHD-950/957 type from Crystek. These are real audio grade clocks. You can check real graphs for them here. These clocks are system masters. In order to remove any jitter induced by the FPGA circuit itself, special retiming is applied just before the Hydra Z outputs. The wordclock feature is very interesting. If you use the bnc output there is no need for capturing the clock as on the spdif. This can be quite an improvement, depending on the DAC you use it with. As I said in the beginning, Hydra-Z also moved the power supply to another chassis, offering better noise isolation and versatility. One other important feature of Hydra-Z is that it includes a DSD to PCM converter that can be switched on by using internal configuration jumpers. So if your DAC doesn’t support DSD, Hydra will take care of that. It also has a sample rate converter that will help you play DXD (384 and 352 khz) out of the box, even if your DAC doesn’t support it. While the DXD will remained untouched on the I2S Output, it will be converted to 192 khz on spdif. 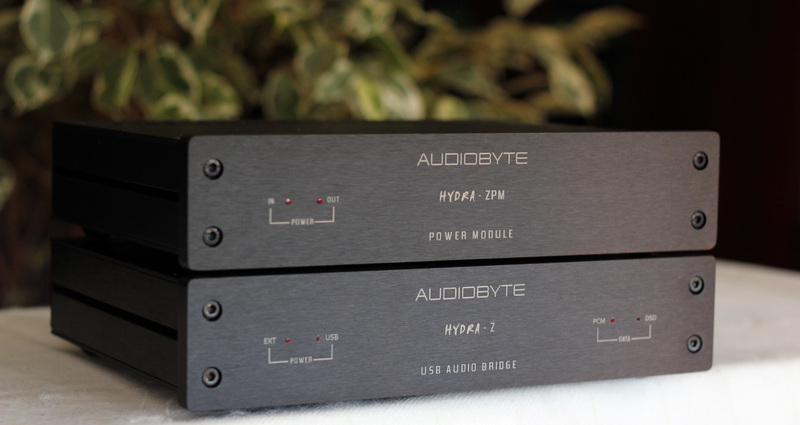 Audiobyte offers a dedicated ultra linear power supply for it, the Hydra ZPM. The Hydra ZPM makes a step further, letting behind the Hydra X concept, which was battery powered. Instead, ZPM is using a ultracapacitor bank consisting of 2 x 310 Farads (1 Farad equals 1.000.000 uF) which will provide lower internal resistance and longer life and reliability, compared to a battery solution. This charging of this huge capacitance is no trivial task, therefore is being done by specialized circuitry. 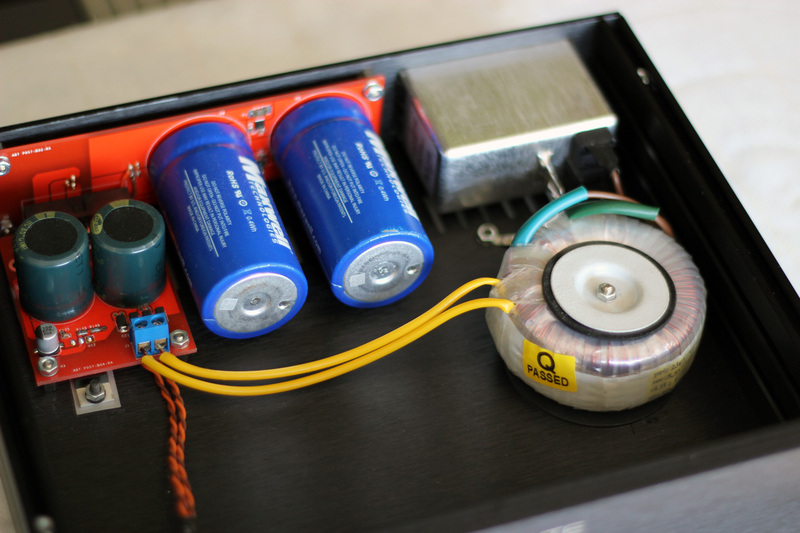 Once capacitor bank is fully charged (it may take up to 4h first time!) , the output voltage will remain constant assuming that Hydra ZPM is left powered on. The ZPM is designed entirely a linear design – meaning there is no switchmode technology inside. This way, all types of noise associated usually with the widespread non-linear power supplies is eliminated. Aside the “digital” 5v output readily available, the Hydra ZPM can be equipped with a discrete ultralow noise analog regulators to provide symmetrical +/-12v.. +/-24 in order to supply analog devices. Ok, the UltraCapacitor Power bank has some incredible specs. My 24 kg speaker amplifier (Audio Gd Precision 2) has 100 000 uF. With the help of ultracapacitors, Audiobyte managed to squeeze 620 000 000 uF inside the Hydra ZPM, 6200x what my speaker amplifier has. The tests have been done with Audio-Gd Master 9, AG500 Power Regenerator, Sennheiser HD800, HiFiMAN HE-560, MSB Analog Dac, Audio Gd Precision 2, Indiana Line Puro 800, Piega Premium 5.2. I have bought Analog DAC with only the first free input, that I chose to be the USB one. However, I did manage to borrow a SPDIF Input from jack-fi for testing the new Hydra-Z. The usb input from MSB overall had a more transparent sound, but Hydra-Z also had a very interesting approach as it gave a more analogical and smooth sound signature. And I know that the sound can improve considerably, as I didn’t use a stellar spdif cable, and Hydra is known to be even better on its XLR / I2S outputs. However, I haven’t yet found an usb interface to best the ones already existing inside Analog Dac, as they are already very good and have the advantage of not adding a long cable between the DAC and the interface. I was very curious to see how the new linear power supply affected the sound, and it wasn’t disappointing at all. It had an impressive impact on the sound quality as it brought better transparency, bigger soundstage, better instrument separation and layering, faster and more powerful transients, better textures on instruments and voices, and of course better bass control and punch. So, as you can see, everything was better with it, taking the quality to a whole new level. Having to give the spdif input back in a short time, I took advantage of the DAC section found in Indiana Line Puro 800 which I suspected to benefit from a better USB interface. I was right on the money with that assumption. There differences were many, noticeable from the first 3 seconds, but the first one that popped out was a considerably more opened sound. Everything was more detailed and every instrument had better focus, was better positioned in space and also had better texture and extension. The amount of details brought by Hydra-Z was impressive. 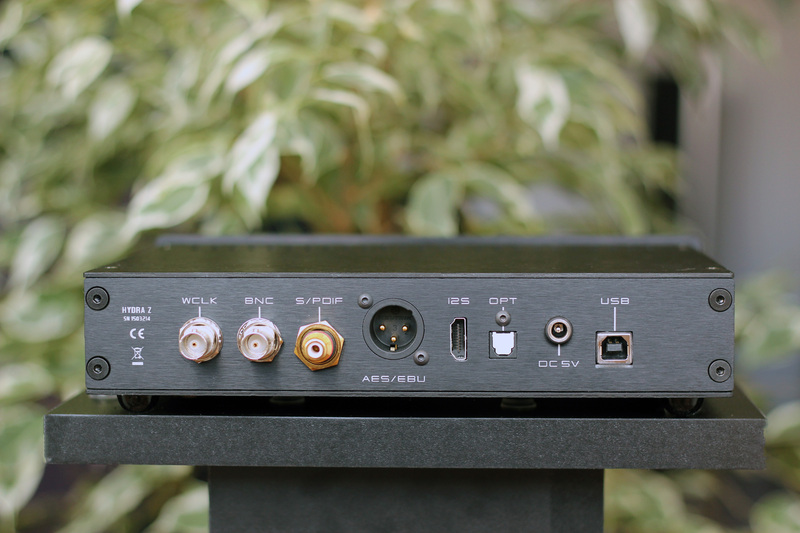 The Hydra-Z boosted the DAC to a whole new level. The guitars had notable more detail with better spark and pluck impact. The trumpet was better extended and textured, managing to catch my attention quite better with Hydra-Z. The voice was cleaner, more extended and textured. While with Puro 800 the voice was kind of shy when it came to extension and presence, Hydra-Z went up a few classes, adding another dimension to the sound, including better extension, textures, presence and spacial cue that showed a bigger soundstage. Every pluck had more impact with Hydra-Z followed by better extension and sparkle also leading to a more detailed and organic presentation. The soundstage was decompressed and more holographic. The guitars from the beginning had better detail and presence in the scene. The violin was better textured and extended with Hydra-Z while Leonard’s voice was cleaner and better extended. The drums were considerably more energetic and fun with Hydra Z as they had better punch, extension and control, imposing more energy in the song’s rhythm . Everything was much better with Hydra-Z, adding the same qualities described in the songs above. All instruments had better extension and viscerality throughout the song. The bass as with Hydra-X is very fun and addictive, but Hydra-Z takes it to the next level, giving better control and impact than its older brother. The midrange gains more detail and textures on both instruments and voices giving more emotion and naturalness to the sound experience. With Puro 800, the treble gained more sparkle and extension, opening the sound in a good manner. The voices are one of the strong points of Hydra-Z as they gain more detail, extension, textures and presence. This is again better than on the older Hydra-X. Dynamics is another very important gain that Hydra-Z brought to the sound. Every instrument had a life and energy of its own, leading to a more energetic sound experience. With Puro 800, Hydra-Z made a huge difference in the detail department. Everything became more clear and Hydra was like taking a veil off the sound or opening the window to the stage where the music plays. The sound really opened up with Hydra-Z and every instrument had better focus and was better placed into space. One thing I like about Hydra is that it doesn’t add any harshness to the sound, it actually makes it more analogical in a natural and good way. I didn’t have the old Hydra with me as I replaced it with Hydra Z, but its sound was very well imprinted into my brain, so if memory serves me well, Hydra-Z is better, adding better transparency, energy and dynamics, quicker and more impactful transients and a better controlled and punchier bass. Don’t forget that I found Hydra-X to be different but in the same class with Audiophilleo 1. 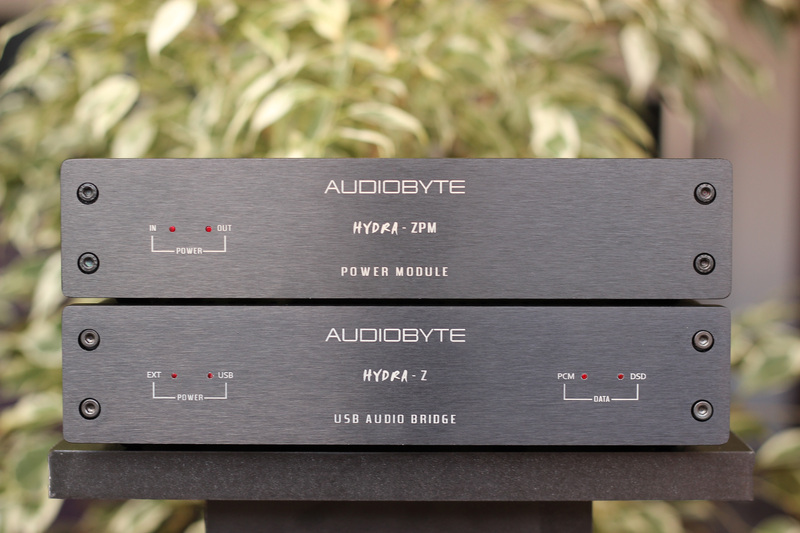 I really like this new product from Audiobyte and I consider it to be more versatile and better than the older Hydra-X. Removing the battery, making the technical improvements described above, along with adding a very good linear power supply made a notable difference in sound quality, leading to a more dynamic sound, better details and faster and more impactful transients. Hydra-Z sounds very good on its own (without the ZPM power supply) and it does benefit quite a lot from the split cable tweak I described here. However, to get most out of it, you must hear it with the ZPM which really takes the sound to another level. 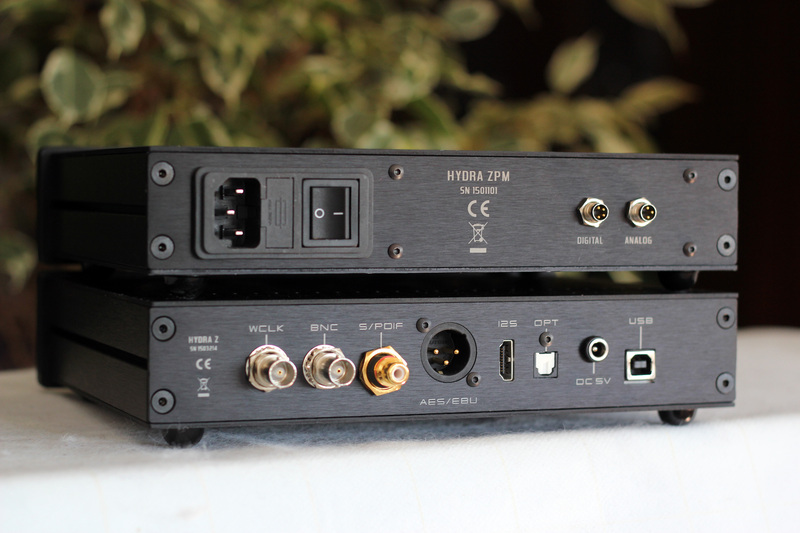 Depending on the DAC you have and the quality of its usb input, a good usb interface could bring the most out of it, and I think that Hydra-Z is the best I have heard until now. Tried to find something, but didn’t manage to yet. How Hydra Z compared to Sotm Dx USB or Berkeley converters? I haven’t had the chance to listen to those converters. An educated guess would be that it would be better than sotm and on the same level with the berkley converter. I have not tried the external power supply from audio byte for the hydra z waiting for the silver colored psu version.I have bought an psu from hong kong which seems to be quite good to power it up.I am currently using usb 3 output from my mac using amarra software powering it through my old wadia 27 through bnc connection rather than rca as the wadia responded better.Speakers are the dynaudio mc25 active speakers.The result is very good for a mini system for pc.I am getting similar results with what you have found out.Be very careful with the choosing digital cables as this can make or break a system if proper matching is not taken off.